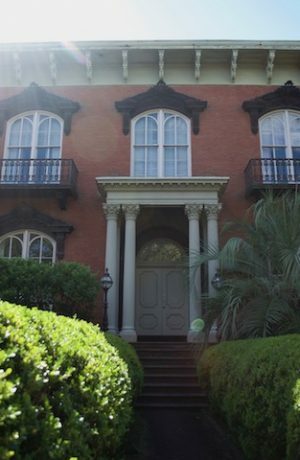 Savannah’s grand mansions and historic homes are architectural masterpieces. 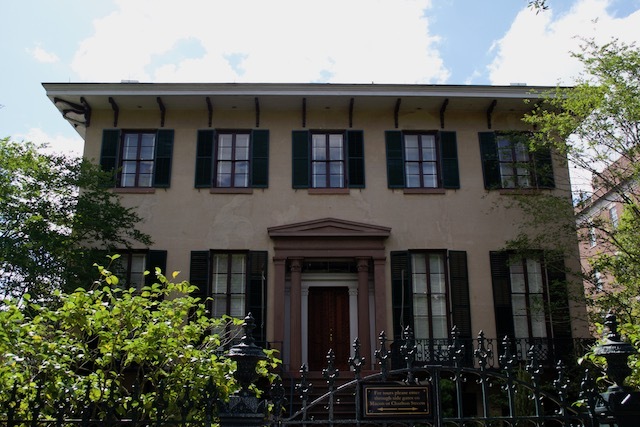 With such a wide variety of influences, architects took the best from each to create something as unique as Savannah itself. The result is a beautiful combination of all different types of architectural styles around every corner. The Italianate style is one that has left a timeless impact on Georgia’s First City, and its iconic traits can easily be spotted while out on the town. As the name suggests, the Italianate style hailed from Italy. Inspired by rambling farmhouses of Northern Italy, Italianate architecture incorporates modest country features and lavish ornamentation. The style is considered to be part of the Picturesque Movement of the 19th century, which tackled classical and Renaissance ideals and moved back to simple, informal floor plans. 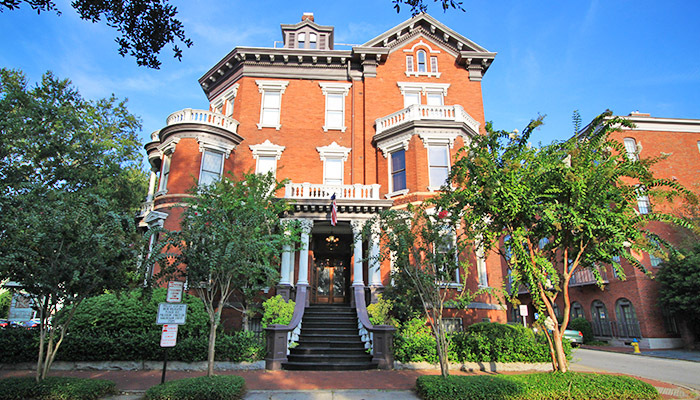 Though not much of the movement reached below the Mason-Dixon line, the examples in Savannah capture the essence of Italianate with a symmetrical design and intricate decorative elements. 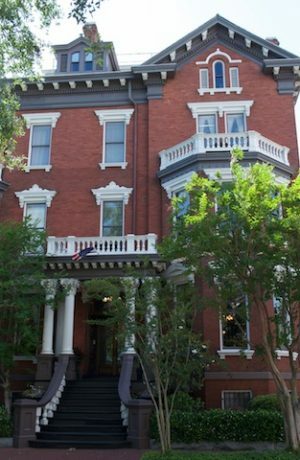 The collection of Italianate buildings here in Savannah are all comprised of the style’s distinct characteristics. 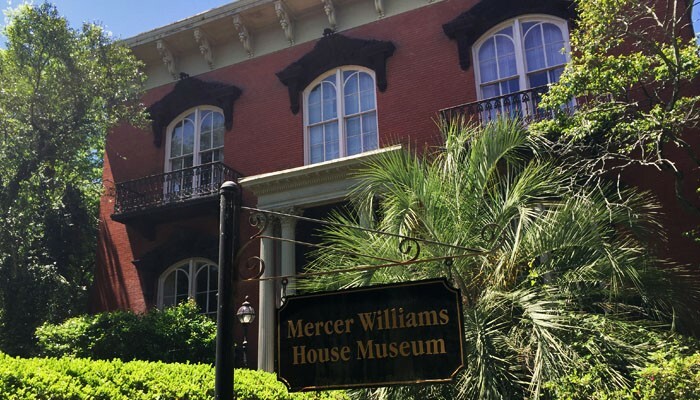 From the sloping roof to the columned entry found on museums and inns all across the city, these features add a unique flair to Savannah’s already stunning architectural landscape. The Andrew Low House features a slightly sloping roof and overhanging eaves. One of the most infamous identifiers in Italianate style is the sloping roof. Because of the subtle and simplistic nature of the style, the roof’s pitch is gentle and barely noticeable. Most commonly paired with the sloping roof are deep overhanging eaves. These eaves are supported by detailed brackets and cornices that show off the decorative elements of the architectural style. The Mercer Williams House has an entry framed by beautiful double columns. The Historic Kehoe Inn displays double-columns and decorative elements. Another main feature of the design are the entry columns. They may be single or double columns on each side to frame the entryway. Normally, the entryway is a raised porch that leads to a double-door entry into the building. This gives off the more grand influences incorporated into the Italianate style. The cupola, or square-shaped tower, is usually placed just above the roofline. Though some can be tall, most designs incorporating this element are small. This is a feature that is a direct draw from the Italian architecture the style was inspired by. The window shapes are an important feature of the Italianate style. Most examples have large rounded windows with hood moldings. These moldings usually flair out and have curving designs in them. 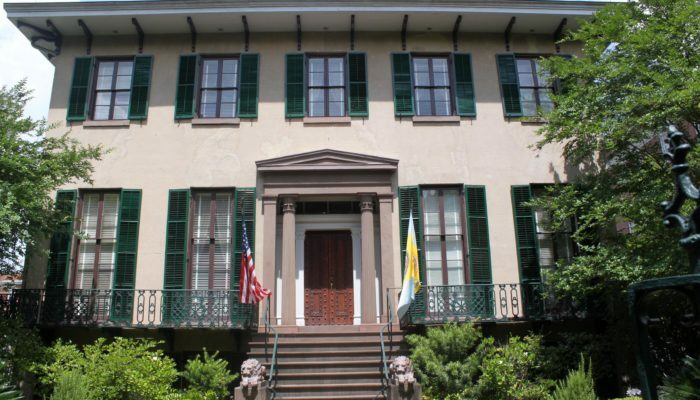 You can find Italianate examples at a number of notable houses in the Historic District of Savannah. The Andrew Low House and Mercer Williams House are two that are available for touring during the day, and are strong models of the simplistic and modest features associated with the style. Additionally, the Historic Kehoe House is one of the greatest examples of the decorative elements, cupola and columned entryway, and is an inn available for booking. Other Italianate-influenced architecture can be spotted at private residences throughout the Historic District.